John L. Dagg - Westminster Congregational Church ""
Rev. John L. Dagg was born in 1794 in Loudoun County, Virginia and lived to be over 90 years old. He was one of the most respected men in Baptist life and remains one of the most profound thinkers produced by his denomination. The diversity of his works demonstrates this. Baptist historian Tom Nettles writes, "For clarity, cogency, and sincerity of expression, no theological writer of the 19th century surpasses John L. Dagg." 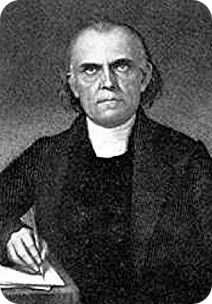 Dagg was one of the bright theologans in the early American Baptist movement. His Manual of Theology is still widely available, and part 2 of that work, "A Treatise on Church Order" is available online.